New York City Falls from Heights Injury Claims | Fall from Extreme Heights | New York Personal Injury Lawyer | Silberstein, Awad & Miklos, P.C. 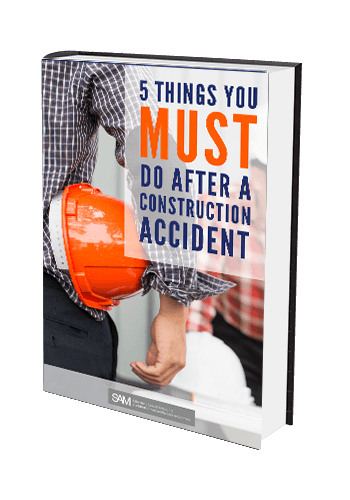 In the New York State construction industry, falls are responsible for more deaths and injuries than car accidents. Injury or death can happen to you regardless of how far you fall. On a construction site, you can fall from as little as a few feet to as much as several stories. Construction work takes place at all heights and therefore New York State law requires that all workers be properly protected against the dangers of falls from heights. Our clients have been injured as a result of the lack of a fall protection system or because it was damaged and didn’t function properly. In some instances, workers were not trained to properly utilize a personal fall arrest system and suffer serious personal injury or death. Construction workers were injured when there is a lack of proper fall protection systems should consult a New York falls from heights injury attorney right away. Guardrail systems should be constructed so that they are sturdy enough to withstand a worker falling into one of them. They must be sufficiently high about 42 inches with a mid rail that is 21 inches high and a toe board which extends 4 inches above the walking surface. Guardrails serve to stop workers and materials from falling to a lower elevation. In some cases, Guardrails are made of wire rope and flags must be replaced every 6 feet. Safety nets are designed to stop falling workers and other construction material and debris from falling from a height onto those below. Nets can be installed on the exterior or interior of a building. There are regulations concerning the use of nets in construction. Typically they used when the work area is 25 feet more above street level and other fall protection is impractical. Floor hole covers at a construction site are critical. These covers can be made of wood or metal. They are designed to prevent workers from falling through openings and tools and materials from falling. Recognizing the dangers of holes at the construction site regulations exist to prevent injury such as…. “every floor hole into which a person can accidentally walk shall be guarded by either: (i) a standard railing with standard toeboard on all exposed sites, or a floor hole cover of standard strength and construction. While the cover is not in place, the floor hole shall be protected by a cover that leaves no openings more than 1 inch wide. The cover shall be securely held in place to prevent tools or materials from failing through.” OSHA 29 CFR, 1910.23 (a) (8) positioning devices are generally used on vertical locations by workers to maintain their position when they need to have the use of both arms and hands. They employ the use of body belts and short lanyards which limit the amount of distance to no more than 2 feet of falling. If you or a family member has been injured in a fall at a construction site, the attorneys at Silberstein, Awad & Miklos can help you determine if you have grounds for a lawsuit. Contact our experienced New York falls from heights injury attorney at Silberstein, Awad & Miklos today for a free case evaluation.